Boil the water. Add the tea bags and let brew for 10 minutes. 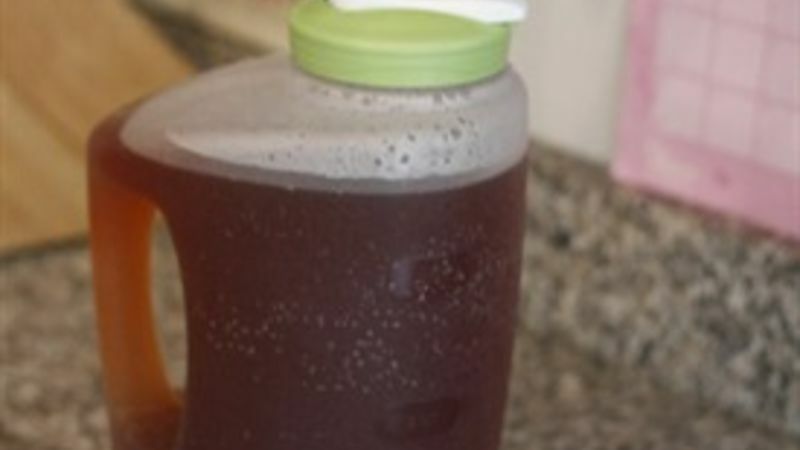 While the tea is brewing, add the apple juice to a 1 gallon pitcher. Strain the tea bags using a heavy duty spoon and a fine mesh strainer. Discard the used tea bags. Pour the brewed tea into the pitcher. Add enough ice to make it one-gallon. Chill until ready to serve.